"We are prepared to protect U.S. personnel and diplomatic facilities if necessary," Navy Admiral Craig Faller, the head of U.S. Southern Command, said during a Senate Armed Services Committee hearing. Still, he said, rank-and-file soldiers were starving "just like the population" of Venezuela. 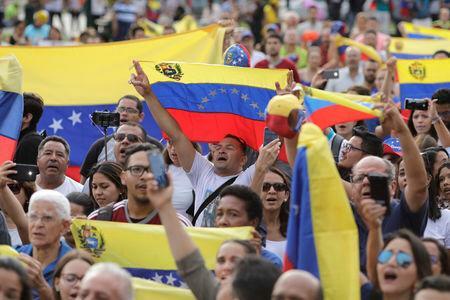 "The legitimate government of President Guaido has offered amnesty, and a place for the military forces, most of which we think would be loyal to the Constitution, not to a dictator, a place to go," Faller said.